When it comes to getting from place to place while traveling, you’ll need a plan. While the majority of people travel with a vehicle, not everyone has that luxury. 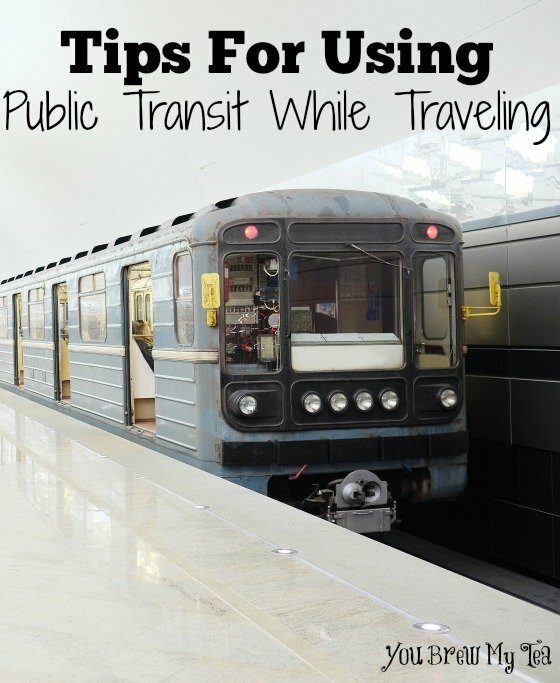 If you need tips for using public transit while traveling, check out our favorite ideas. As we have traveled to several larger cities, we have found that using the public transit system usually was more cost effective and simply easier to manage versus driving our rental car around a strange city. Knowing where you are going is important, while traveling, and that’s why you need a map. If you can get your hands on a map before you get to your destination then even better. A map will help you know where you’re going and where you are. Most public transit stations for trains and buses will also have a map at each stop to help you get your bearings and make sure you are on the right track. Not every town in the world has the same type of public transit. It’s best to research your options before you reach your destination. Knowing what’s available can help limit your stress as you travel. It will also help you know what kind of transit pass you should purchase for your time in a different city. Keep your belongings put away and in a safe place. Remain alert as you travel. Know where you are at if possible. Do not give out any important information. Let someone know where you are going at all times. If you feel unsafe, talk to someone who can help you right away. Carrying pepper spray or knowing basic self defense moves are both a smart idea. Obviously you won’t be able to buckle up if you’re riding on a bus, however, you can buckle up when riding in a taxi. Since you will be traveling in an unfamiliar city, it’s even more important to buckle up when you can. Seatbelts really do save lives! As we travel so much year round, public transit while traveling has definitely become a great way for us to save money and keep the stress low. Public transit systems often included buses, trains and taxi cabs to help you get from your hotel to your destination with ease. Research the destination and take advantage of what you have at your disposal for the area you will be visiting.